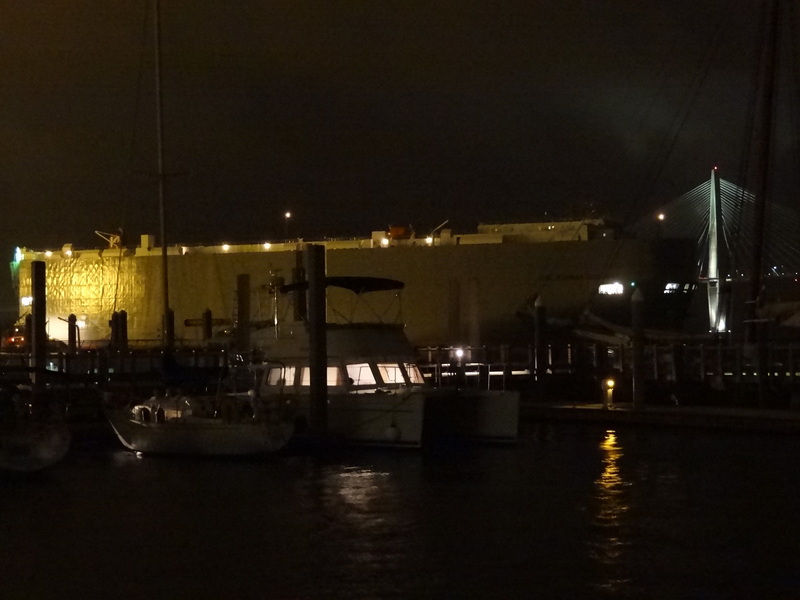 Charleston Maritime Center was privileged to be our first marina slip since Nassau three and a half months ago. 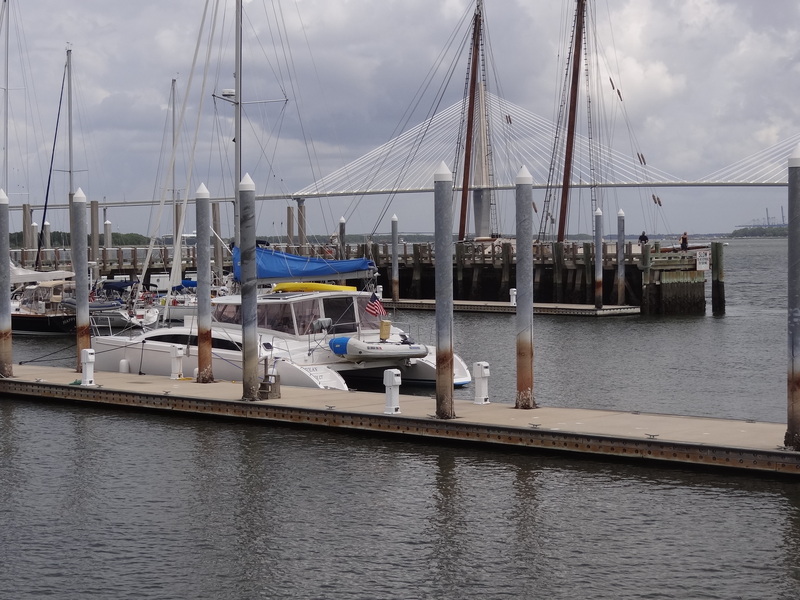 Not only do we like Charleston and have only stopped once, but this marina is on the downtown side of the peninsula with a short walk to everything we need or want to do. Fortuitously, our stay would coincide with forecasted T-storms heading east Wed afternoon. The weather gods continue to smile on us- so far at least, but you know that can end in a heartbeat. We’d read mixed reviews on the Maritime Center: controllables, the marina staff had covered, that which they couldn’t control became the dark side of the mix. Wakes from the almost constant stream of container ships find their way in to the basin while a mix of strong wind and current would challenge most boat captain’s docking game. Once again, we were over prepared for the eventuality that never showed itself. 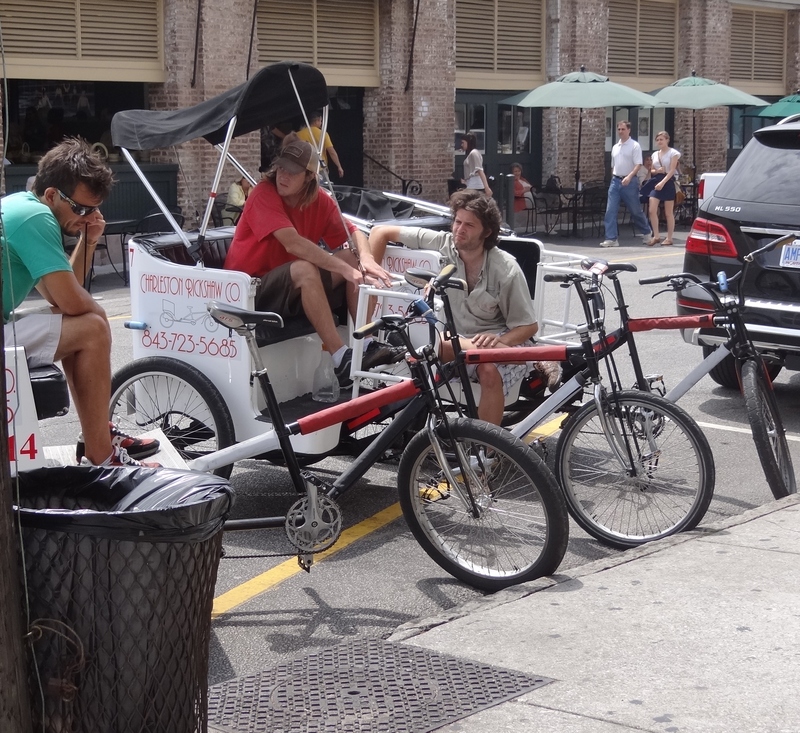 Instead, we roamed the streets of historic Charleston shopping ‘til we dropped and eating (nibbling really) our way through the day. The Center offers free washers and dryers and up until a month ago, one of each made for a loonnnnnng wait. Thursday was a mostly rainy day; perfect for cleaning, laundry and boat chores. 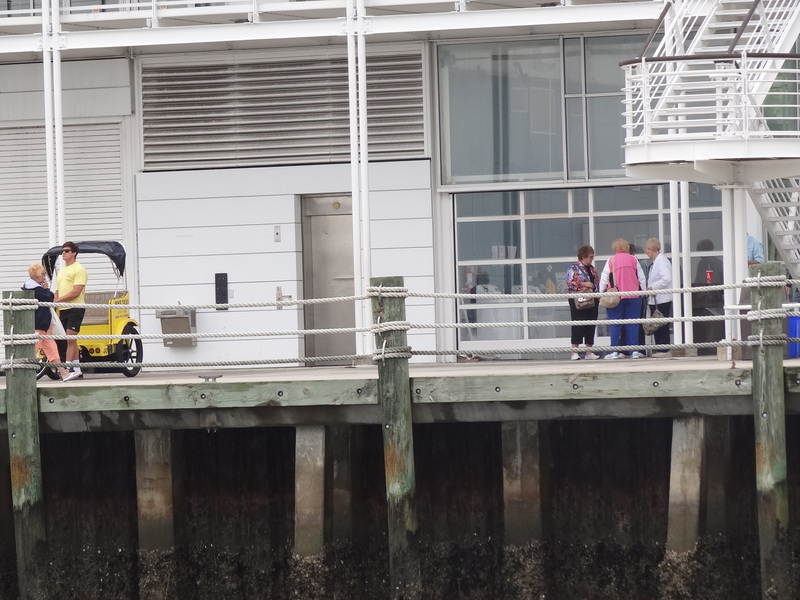 I met 4 sisters who were waiting for the Carolina Belle’s next harbor cruise, departing from the Maritime Center. Every year they travel to a new destination for a sisters-only week of fun and sightseeing. They asked mucho questions about our cruising lifestyle. Been a while since I’d talked with land peeps not familiar with cruising. A couple of blocks south on East Bay St is Saffron Bakery and Café, a dream come true. Clean, contemporary and comfortable, Saffron offers a huge array of individual desserts, cakes and pies as well as a wide selection of breakfast goodies and cookies. They have a daily happy hour with excellent choices and prices, and on top of that they serve breakfast, lunch and dinner. Could I ask for more? Well, if we’d stayed another day…. The marina is small and half of it is too shallow to use. Even at our dock the depth gets down to 4 ½ feet. Power cats, smaller monos and trawlers do well here, but no one feels too comfortable when north wind pushes the waves inside. A steady stream of container ships, mostly in the mornings and evenings, made me wonder how such huge creatures could appear to move so effortlessly… almost gracefully.